A little shopping and a pantry raid. I recently went to Ross for I don't know what, but whenever I go there, I always end up with some fantastic finds aka: stuff that I think I need but it just takes up a lot of space and I only ever use it probably once or twice a year. Whew! I can only think that was a Brioche pan- $4 it is made in Italy and it just looks so gorgeous- and that stainless steel cake plate for $8. I could not pass that up. 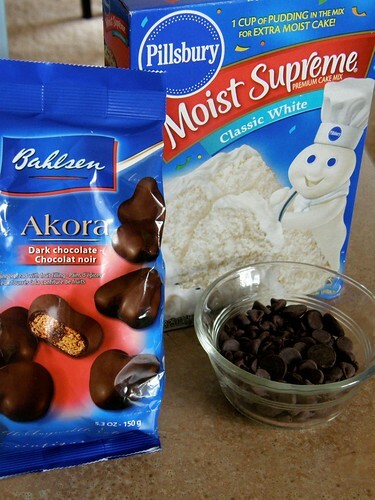 Akora Bahlsen Dark Chocolate Jam filled Gingerbread cookies, Cake Mix, and some chocolate morsels. I bought the cookies because my husband loves gingerbread cookies and it was only .99 cents at the grocery store. It didn't taste that great so it stayed in the pantry. 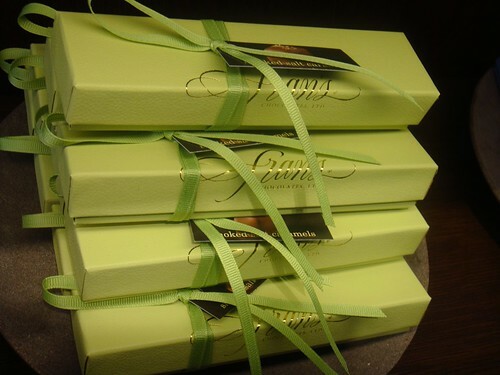 I always have a stock of box cake mixes and chocolate morsels because sometimes I like to practice cake decorating and give the cakes/cupcakes away to family and friends. What better way to use my new brioche pan for this experimental concoction i'm about to bake. 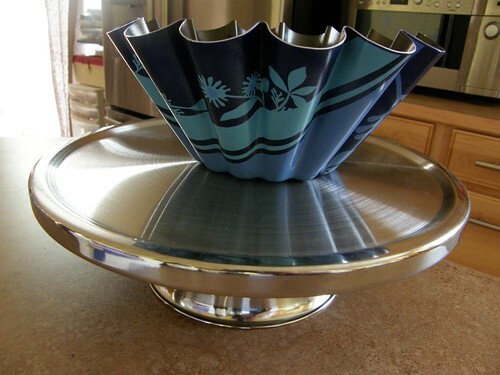 It might even look like a giant cupcake! Well, lets see how it all goes down. 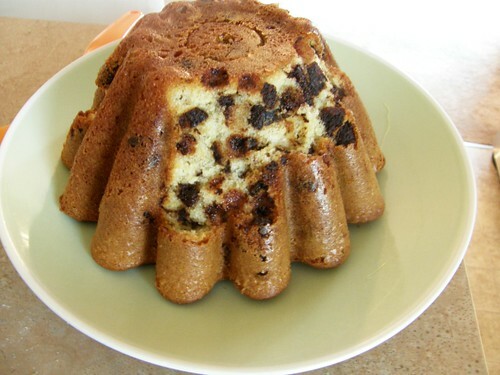 So I mixed the cake according to package directions, chopped up the gingerbread cookies, mixed it into the batter and then added the chocolate morsels. 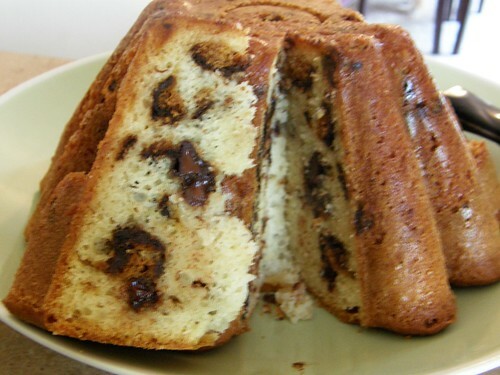 Now i'm going to prepare the brioche pan. 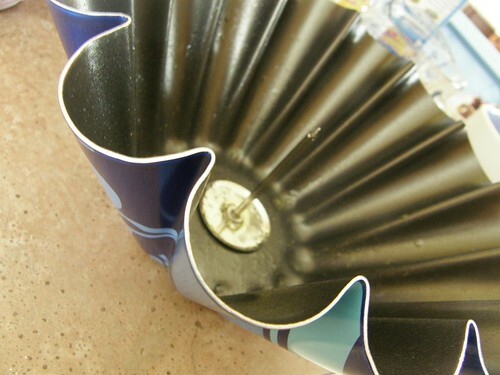 Here is a tip I learned from my cake decorating class. 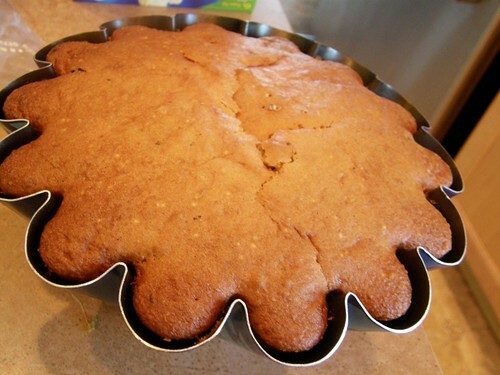 If you are baking in a pan that is 3" deep or larger than an 8" round, you will need to use a flower nail or a heating core to get the center of the cake to bake. 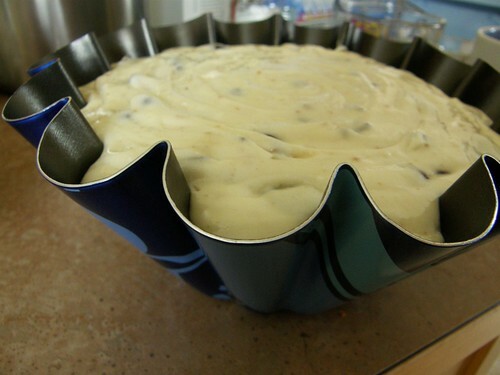 Here is my pan and flower nail greased with baking spray and ready for the cake batter. Into the oven at 350 degrees. This took about an hour and 20 minutes to bake. The edges cooked first, but it still came out looking great- except for when I tried to get it out of the pan. A big piece came off, but it shows how nicely the gingerbread cookies and chocolate morsels baked into it. I ate that broken off piece and I tell you- it was absolutely DIVINE! It didn't come out how I expected it to look like (like a big giant cupcake), but it sure was delicious- my husband loved it and had it with coffee, and had some more after that. I sliced it up and I told my husband to bring it to work because I was eating more than my fair share. I wrapped it up for him to take to work and I struggled not to take some for myself. I think I may have sneaked a slice before he left. 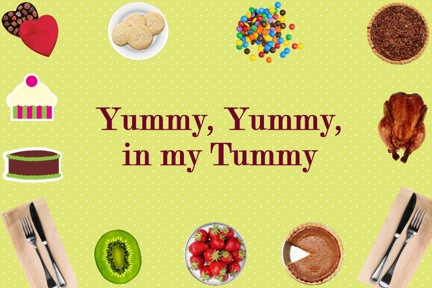 My foodie blogroll spotlight for this blog is: My Baking Addiction. 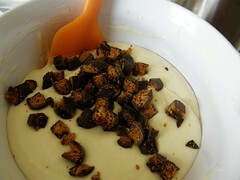 Such a cute and delicious blog! 1. Preheat the broiler. 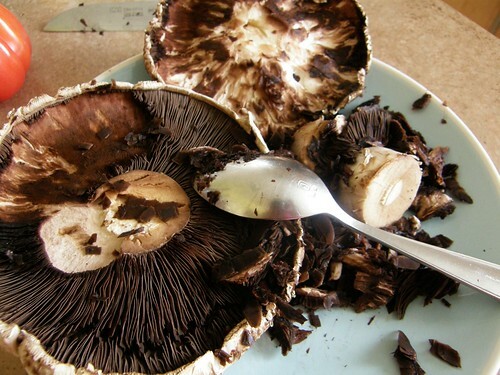 Using a spoon, remove the gills from the mushrooms by gently scooping them out. 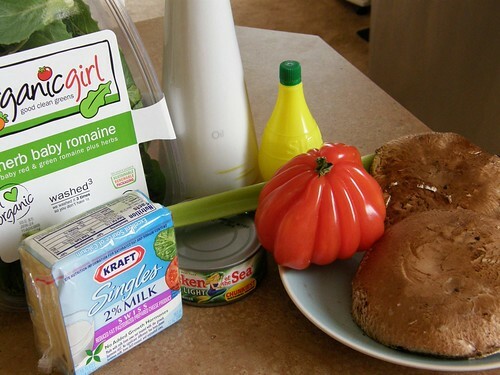 Brush the mushrooms with 1 tablespoon oil. 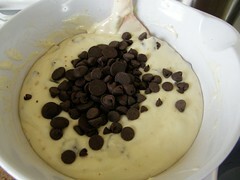 Transfer to a rimmed baking sheet and broil, turning once until softened and cooked through, about 10 minutes. 2. 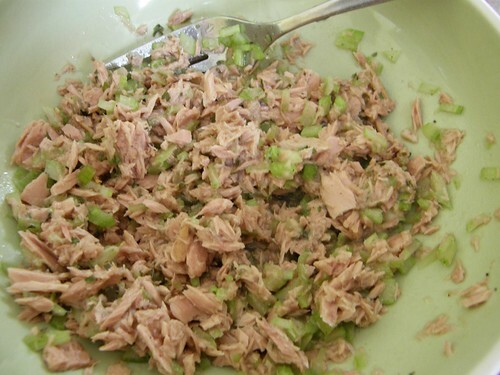 While the mushrooms are cooking, in a bowl, combine tuna, celery, parsley, lemon juice, 1/2 teaspoon salt, 1/4 teaspoon pepper and remaining tablespoon oil. 3. 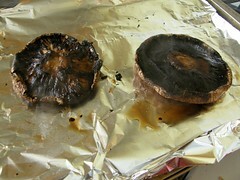 Remove the mushrooms from the oven. Divide tuna mixture among mushrooms, and spread evenly in caps. 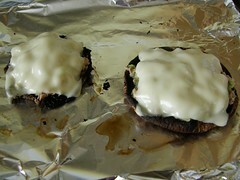 Top each with a slice of cheese, and broil until cheese melts, about 2 minutes. Top each mushroom with a tomato slice and 2 tablespoons greens, and serve immediately. 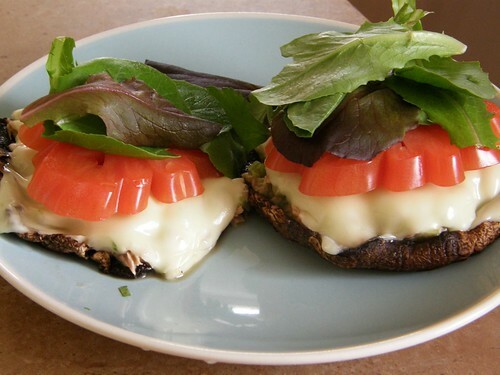 That plate of 2 mushroom tuna melts is only 539 calories. Compare that to a McDonalds cheeseburger which is 300 calories. 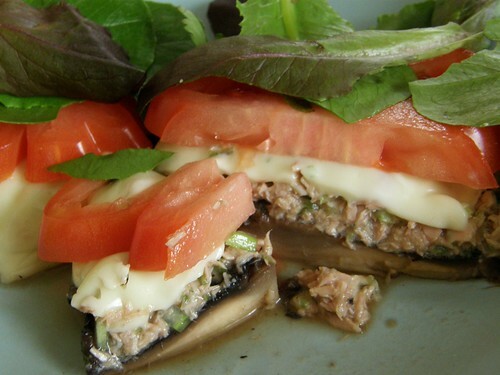 (and your thinking in your head right now that you would take the cheeseburger any day over a mushroom tuna melt right?!! 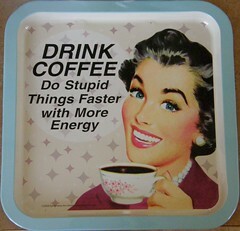 LOL!!) I have to do these healthy recipes every now and then to counter all the junk I make and have to taste- so I feel less guilty=) They have dessert recipes too! Be on the lookout for that because they have a Red Velvet Cupcake recipe too. I'm curious to see & taste it! My fellow Foodie Blogroll member spotlight for this post is: Gastronomer's Guide because the Seared Scallops and Strawberry Mascarpone Tart is calling my name- looks so yummy! 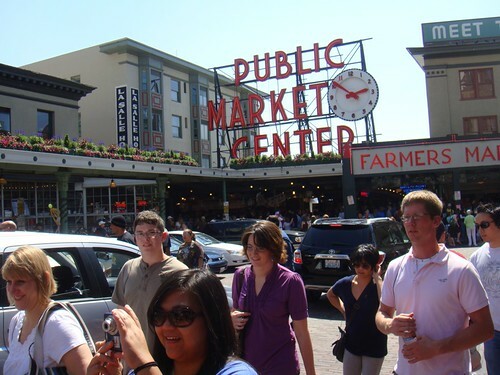 Recently, two of my girlfriends and I went on a Gourmet Food Tour of Seattle. We had a GREAT time! We paid $65.00+tax per person and it was worth it. Do you want to see what that kinda money gets ya? Well let me take you on a free picture tour of all our stops. 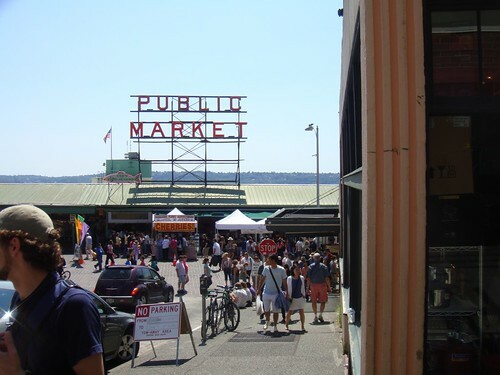 I wish you could smell, taste, and enjoy the sights and sounds of Seattle like we did. 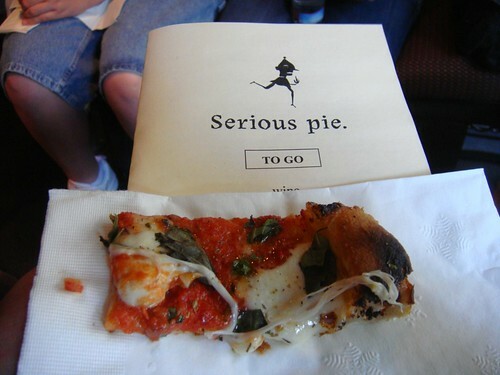 Lets start on the food tour, shall we? 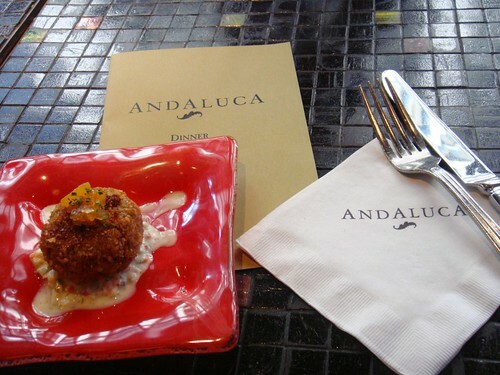 At Andaluca, we tried a pintxo (appetizer) of Crisp Duck cake. It was placed on top of Cucumber Raita and topped with an Apricot Chutney. 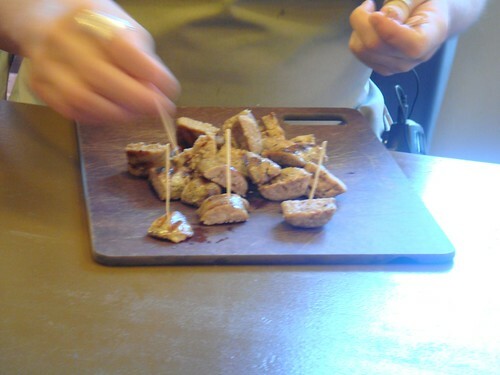 The duck cake is made from spicy ground duck rolled in bulgur and fried in olive oil to make it crispy. The Crisp Duck cake was paired with a house made Sangria, which was made with many spices and included fresh strawberries. The restaurant is nice enough to have this recipe and many others included on their website=) The recipe for the Crisp Duck Cake is available here. 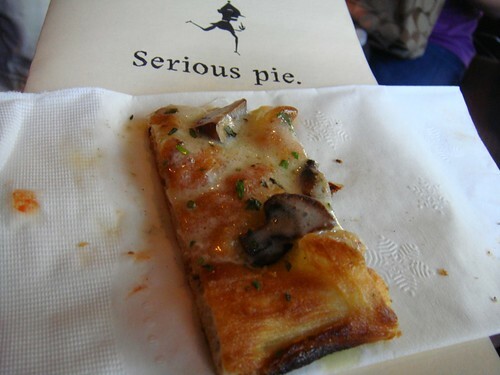 2nd stop: Serious Pie. One of the many restaurants famous Chef Tom Douglas owns in Seattle. For you Iron Chef fans, Tom Douglas beat Iron Chef Morimoto! On our way to the next stop!!! Down the hill and lets take a left. 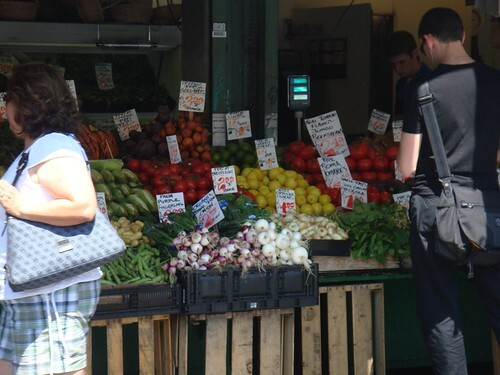 Beautiful fresh produce! We pass by many, many vendors at the market. We're almost there! 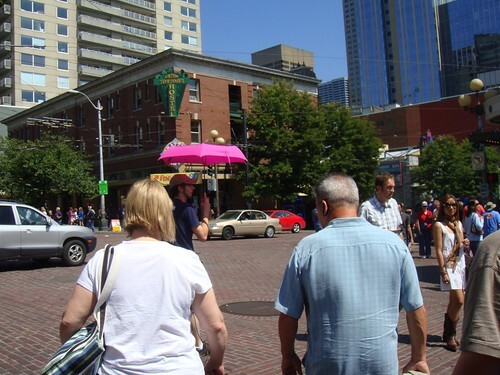 Just follow the man with the pink umbrella! It makes it easier to find him since its summertime and there are a slew of tourists, like ourselves- who might get lost in the mix. It's just down the hill this way! 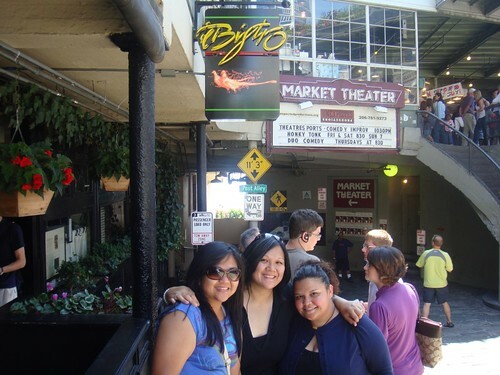 3rd stop: Il Bistro, an Italian restaurant opened for 30 years located underneath the Pike Market Place. We were told it was a popular restaurant to "pop the question"-so they have seen many engagements. We were also told it was haunted oooOOOhhhhOOOooooo. It was Zagat rated this year as well. Clams and mussels Risotto served with Sangiovese Wine. 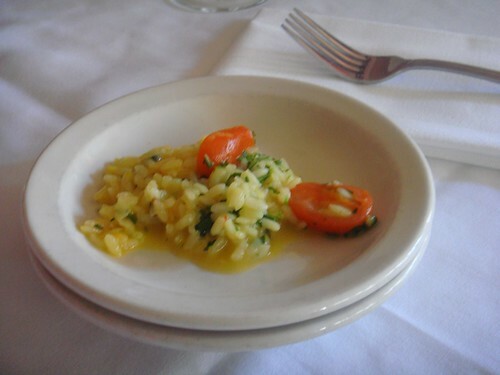 The risotto was cooked al dente. 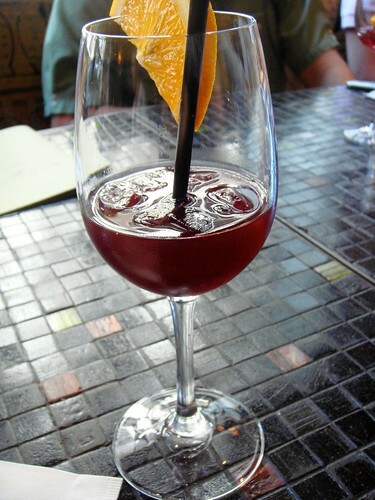 It was very creamy and delicious with the red wine. 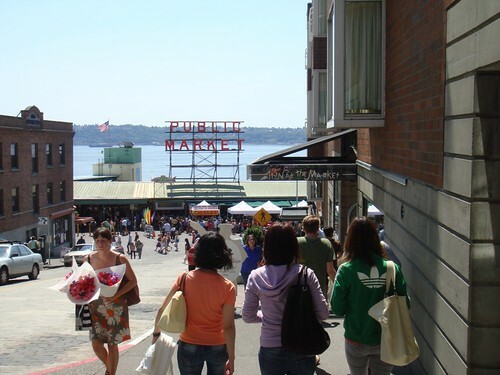 For our next stop, we head up the hill and into Pike Market Place. 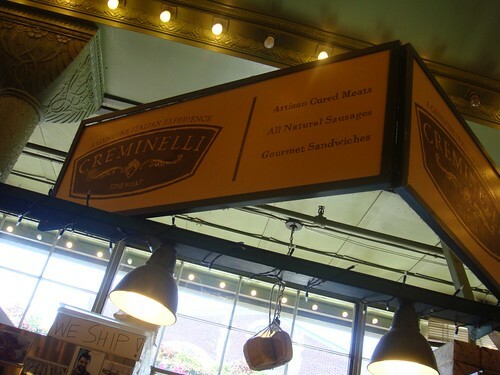 4th stop: Creminelli Fine Meats, a store opened by an Italian named Cristiano Creminelli that produces Italian salamis and sausages. 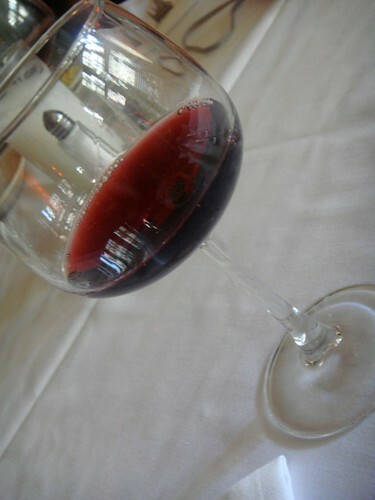 "The addition of Italy’s most renowned and appreciated red wine to Creminelli’s all-natural fresh pork sausage was a bold move, but perhaps an inevitable one. The result of this powerful duo has a lot of people saying, “Together at last!” We use meat from well cared for animals that produce pork with excellent marbling and tenderness, great flavor thanks to a diet of white grains and whey with no antibiotics or other synthetic feeds. We mix the coarsely ground pork with a subtle array of organic spices and stuff it into a natural pork casing for a sausage that tastes purely and genuinely good." "The Black Summer Truffles (Tuber aestivum) spring up between June and October in northern Italy. They are found by specially-trained dogs who sniff out their hiding spots where they are then gathered by hand. The local mushroom enthusiasts each have a secret spot or two where they hope to find some of their own truffles from year to year. Creminelli has hidden a few of them away in our Salami Tartufo and you are sure to find them there each time you go looking. 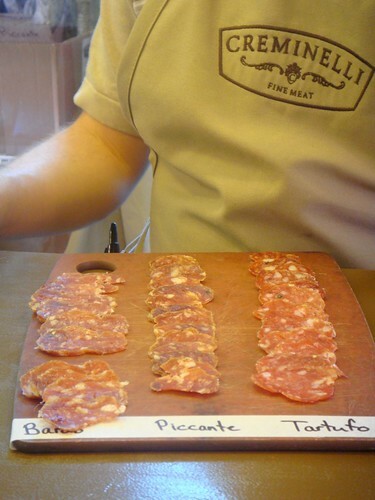 Their delicate aroma works magic with the all-natural pork to create the Salami Tartufo." 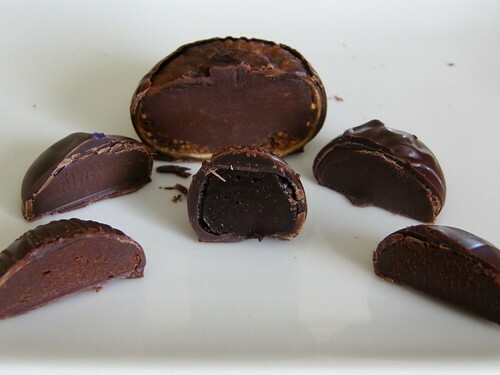 Our second tasting with truffles! I love it! If your interested in reading about the other two salamis, you can visit their website- they also ship their products too! It was quite funny when our guide explained to us that we will experience the "Costco effect" during our tasting at the market. If your not familiar with Costco, it is a membership club warehouse store that sells products in bulk. Every weekend, there are sample carts everywhere showcasing and offering food samples of products they are trying to sell- all for free. 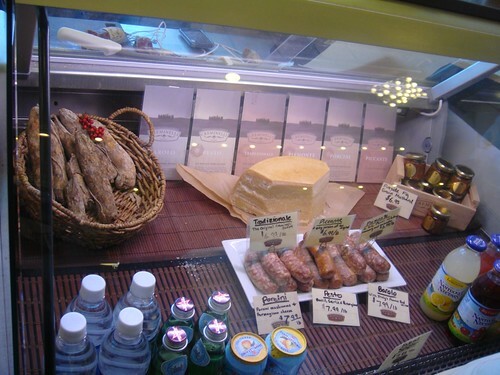 So back to my story~ when we were tasting the sausages and salami, people not in our tour group tried to get a sample. 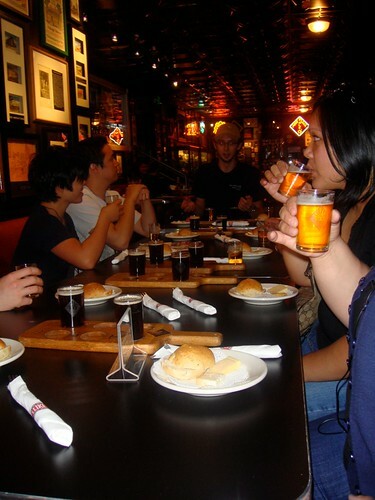 Our guide graciously told them that we were part of a food tour and we paid for the tasting. I don't blame them though, I would want a sample too, it was so good! I wanted to get another helping of the Tartufo Salami myself. Lets move on to our next destination shall we? 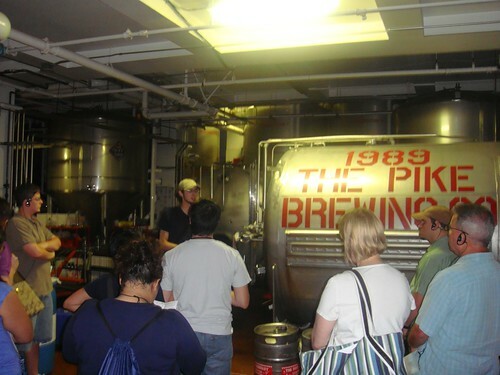 5th stop: The Pike Brewing Co. , a Family Owned Brewery & Pub. We did a tour of the brewery before we did any tasting. 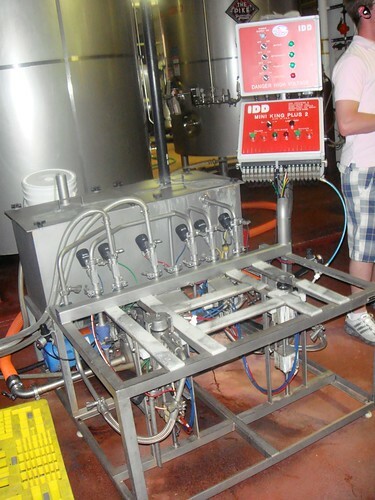 The Keg filling station. All this talk about beer is making us thirsty. I think we're ready for some beer- and something light to go with it. Bread and some gourmet cheese! From what I remember on the tour, the husks of the grains used to make the beer is given to a local farmer to feed the cows that make these cheese. Pretty cool huh? 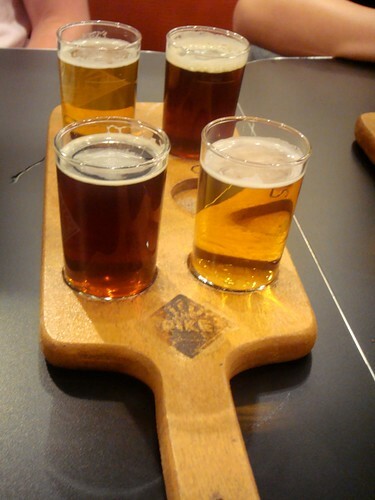 That's why they paired the locally made cheese with the locally made beer. 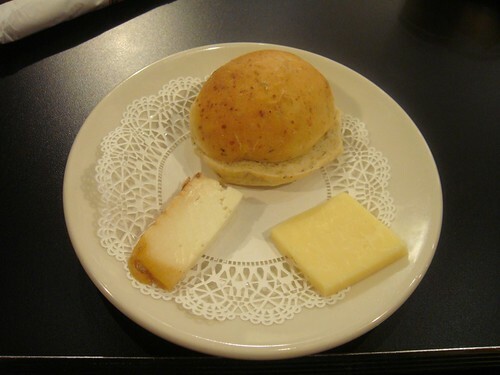 The cheese is from Beecher's Handmade Cheese. They make the absolute best Cheddar cheese I have *EVER* tasted. It's the slice of cheese that's on the right side of the plate. I believe its their Aged for 3 years Flagship Cheddar. The other slice of cheese the Smoked Flagship Cheddar. 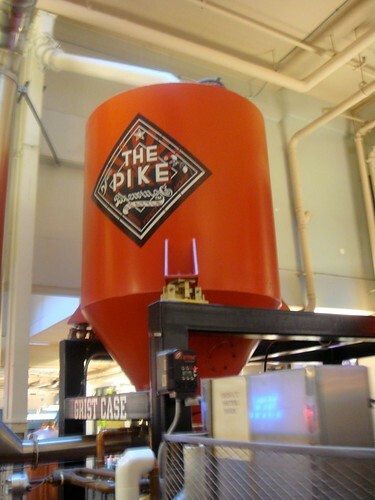 Pike Tandem Double Ale (on the left)- "Rich, round, and complex with flavors of fruit, freshly baked bread and treacle". & Naughty Nellie Golden Artisan Ale "Crisp and refreshing with mild fruity esters and soft malt character"
Loved the beer with the cheese and bread. Between the two beers, we preferred the Tandem Double Ale, it was much smoother and had a less bitter taste than the Golden Ale. Are you wondering if we get any dessert on this tour? Why yes, yes we do! Lets get going! 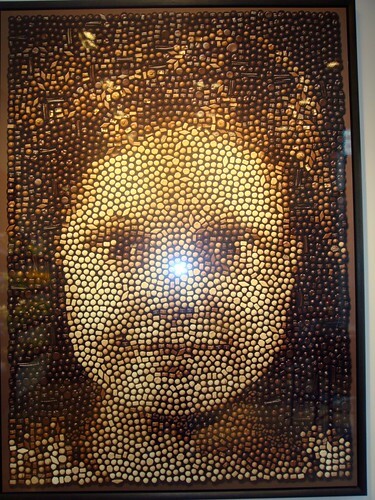 Yes, this portrait was made out of all kinds of chocolate truffles! From what we were told, this portrait is of Fran's grand daughter. 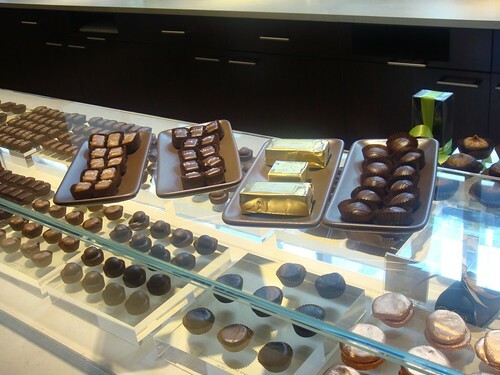 From left to rightSmoked Salt Caramels, Gray Salt Caramels, Almond & Macadamia Nut Gold Bars, & Raspberry Truffles. 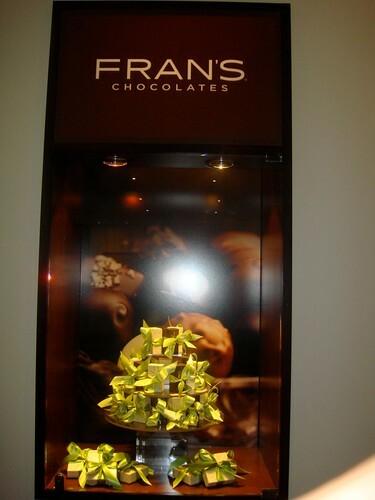 "These [boxes] are Fran’s Chocolates from Seattle, the President’s favorite from the campaign trail." 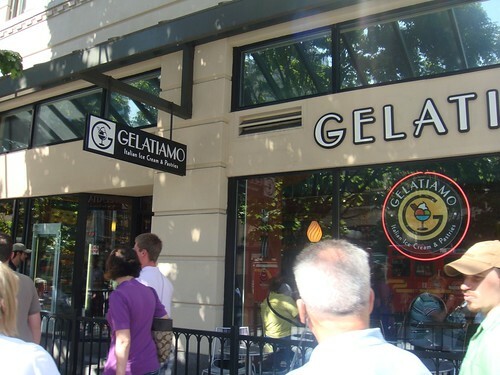 7th and FINAL stop: Gelatiamo, an authentic Gelateria offering gelato, Italian pastries, and coffee. 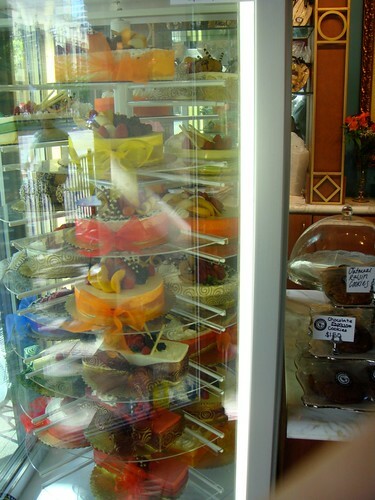 We first went downstairs and took a tour of their gelato making and bakery area. 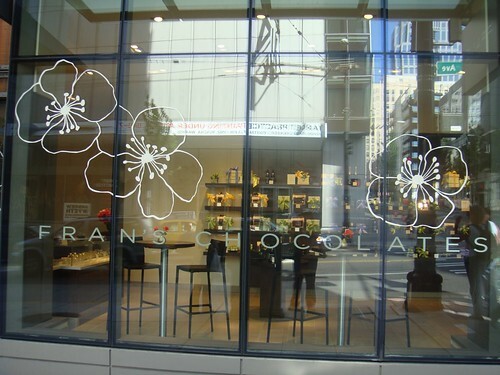 It makes me want to hurry up and open my own business!!! I even got more excited as we went back upstairs!. 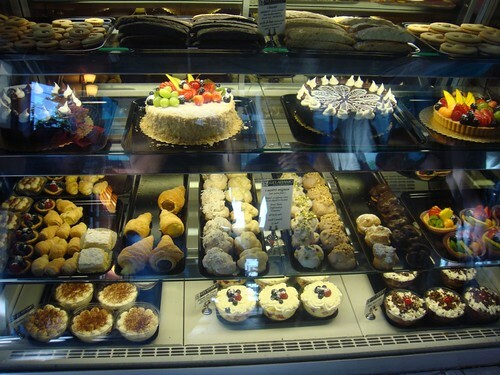 Would you take a look at all that yummy goodness!!! 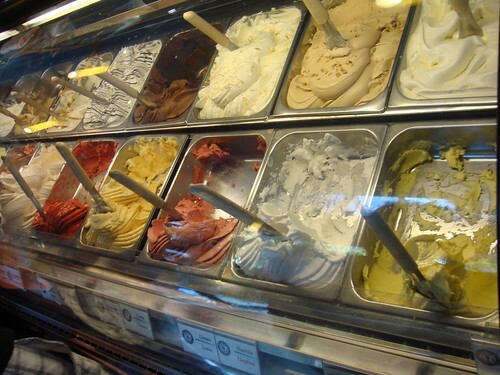 With our tour we all got 2 scoops of gelato- we didn't get to choose the flavors because they were very, very busy and there was about 12 of us on our tour. 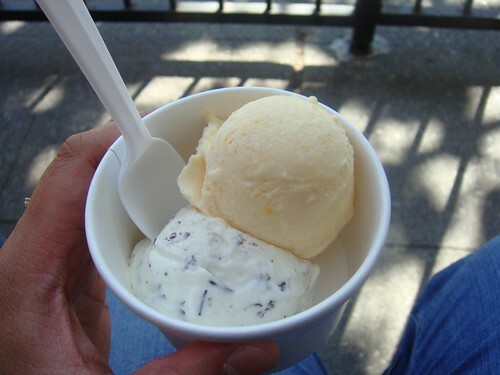 The flavors they gave us on that day was Peach and Chocolate Flakes. They both were really good and refreshing especially since it was a hot day. 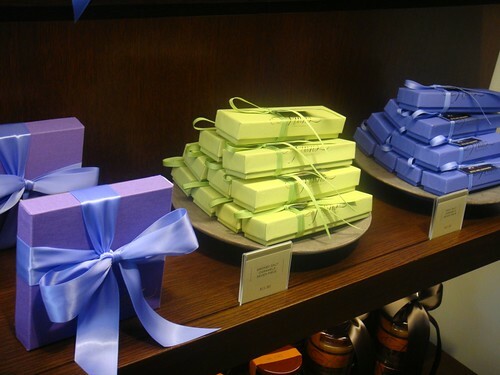 Everything I got was dark chocolate ♥ ♥ ♥ !!! 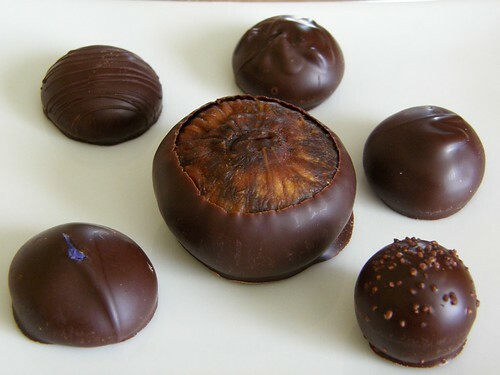 Single Malt Whiskey Truffle, Dark Chocolate Espresso Truffle, Dark Chocolate Imperiale Truffle, Oolong Tea Truffle, Raspberry Truffle, and in the middle is a Fig Filled and coated in Dark Chocolate. 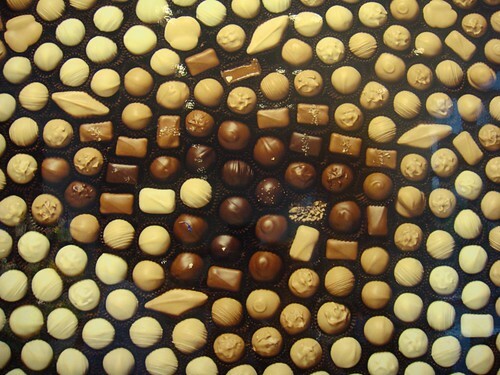 Melt in your mouth chocolate. The way it should be=) I love 'em all. 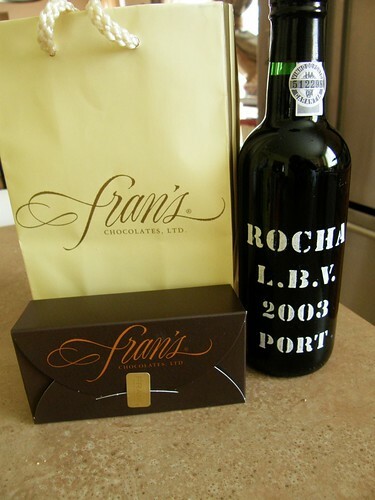 My husband and I have yet to try the Port. We haven't opened it yet. 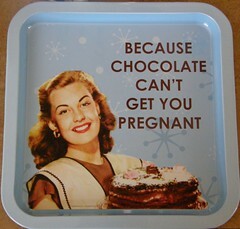 Sad, we should have paired them with the chocolates. I remember why we didn't open it. I cheated. I couldn't wait. 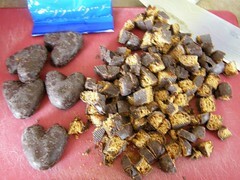 He was at work and I had to try the chocolates- that's why they were cut in half. Half for me and half for you. I really could have eaten them all, but I didn't want to drive all the way to Seattle with my one year old to replace the chocolates I would have devoured easily. Next time I will buy two of each. Lesson learned. 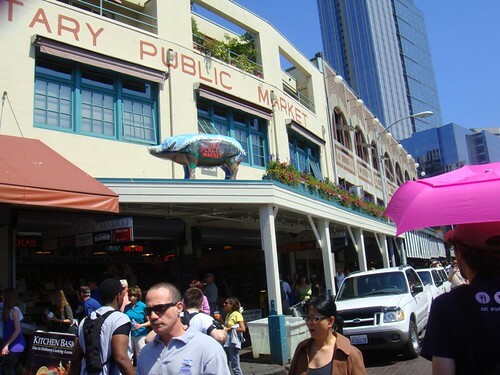 I hope you enjoyed this food picture tour of Seattle! This is a Flickr badge showing public photos and videos from yeah_itsme_al. Make your own badge here.